Big data, artificial intelligence, machine learning, and predictive and prescriptive analytics are all the buzz. Everyone's talking about the incredible potential of these technologies. But generating real value from AI is nearly impossible if you don't have the right organizational and strategic infrastructure. 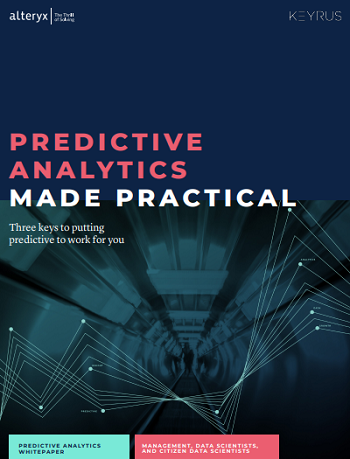 We're predicting a bright future for you when you read Predictive Analytics Made Practical. Download your whitepaper today.